Keto Tandoori Chicken Recipe - Indian - Mildly Spicy Totally TASTY! 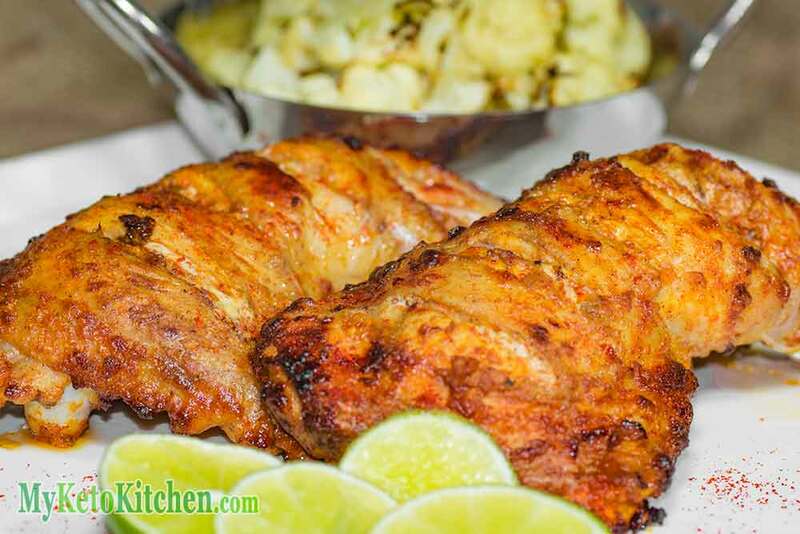 Home » Recipes » Keto Tandoori Chicken Recipe – Healthy Indian – Mildly Spicy! Keto Tandoori Chicken Recipe – Healthy Indian – Mildly Spicy! Tandoori Chicken is a hugely popular dish all over the world. Our Keto Tandoori Chicken recipe is a dish that you’ll want to make, over and over. The marinade is bursting with flavor and the acidic lemon juice and yogurt. The marinade helps tenderize the tandoori chicken. The longer you leave it to marinate, the more intense the flavor will be. Packaged tandoori paste often contains sugars, stabilizers and wheat, none of which you want to be eating on keto. By making your own tandoori marinade you eliminate all these extra carbs. And you can also adjust the level of spice to your own personal taste. This Keto Tandoori Chicken recipe is quite mild compared to many Indian dishes, while still providing a big punch of flavor. This recipe makes 4 servings, the recipe card reflects 1 serving which is 1/4 of the total recipe. Cut 4 to 5 slits in each piece of chicken. 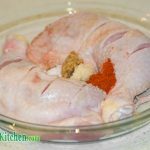 Mix together all ingredients in the first marinade and rub over the chicken legs, ensuring that some marinate gets into the slits. We suggest investing in some disposable gloves. Mix together all the ingredients for the second marinade and pour over the chicken. Rub the second marinade all over the chicken and leave to marinate in the fridge for another 30 minutes. Preheat fan forced oven to 190C/374F. Lay the pieces of chicken on a baking pan lined with parchment paper. Roast the chicken pieces for 30-45 minutes, until the skin has crisped and the legs are cooked through. 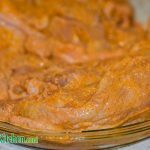 Keto Tandoori Chicken - Healthy Indian - Mildly Spicy! 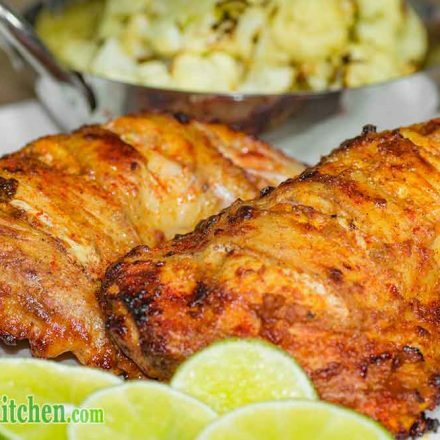 Tandoori Chicken is a hugely popular dish all over the world and our Keto Tandoori Chicken is a dish that you'll want to make over and over. 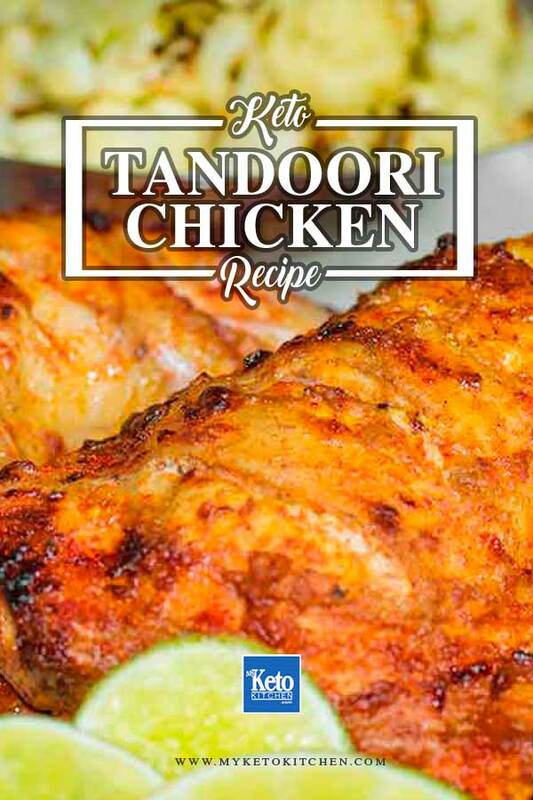 To make a larger batch of this Keto Tandoori Chicken recipe adjust the servings amounts in the recipe card above. Keto Popcorn Recipe Cheese Puffs – 1 Ingredient EASY! 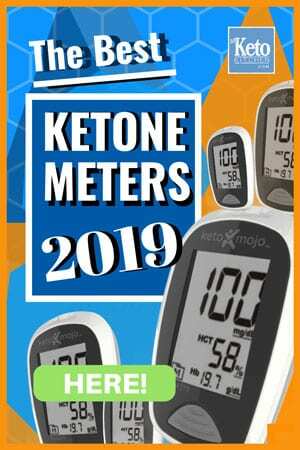 It certainly is similar, it’s as close as you can get while keeping it keto friendly! Is the recipe for 4 whole legs or 4 drumsticks? The photos only show 2 whole legs but the recipe is for 4? The recipe is 4 serves and you can use the whole legs or the drumsticks – whatever you prefer. Having the whole recipe in the photos doesn’t always look the best and for this recipe, having just the two legs looked the best. I hope that helps.